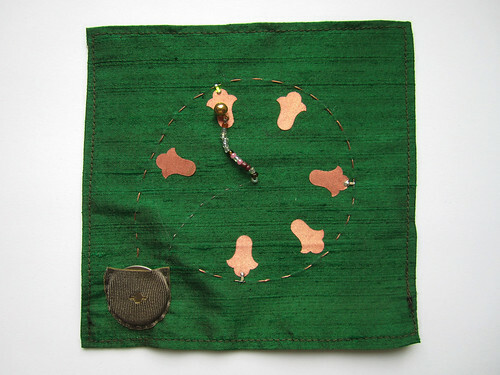 A heavy metal bead strung on conductive thread and surrounded by conductive fabric petals, makes for a simple six way digital tilt switch. When the metal bead makes contact with one of the petals it completes the circuit to an LED light, causing it to light up. 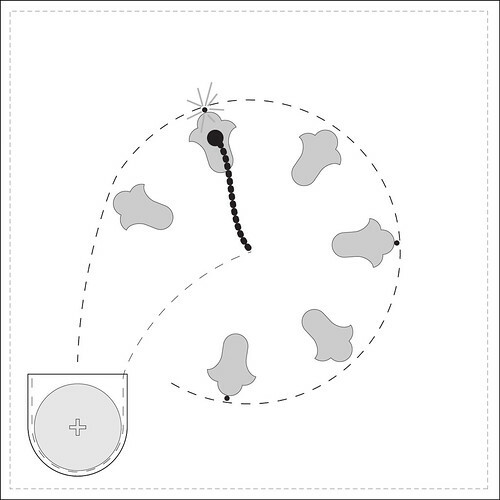 This very simple technique for detecting direction of tilt can be used in many different ways and variations, and this swatch aims to illustrate the basic functionality of the design. 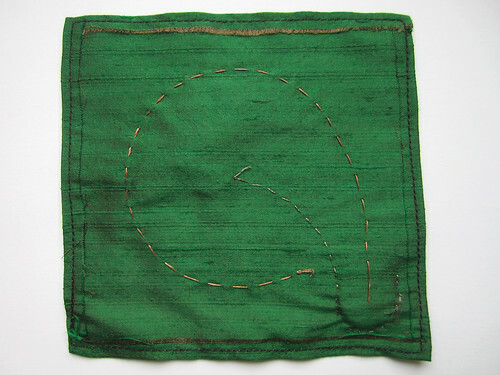 A square of silk fabric is cut out, the edges folded and sewn to reduce fraying. 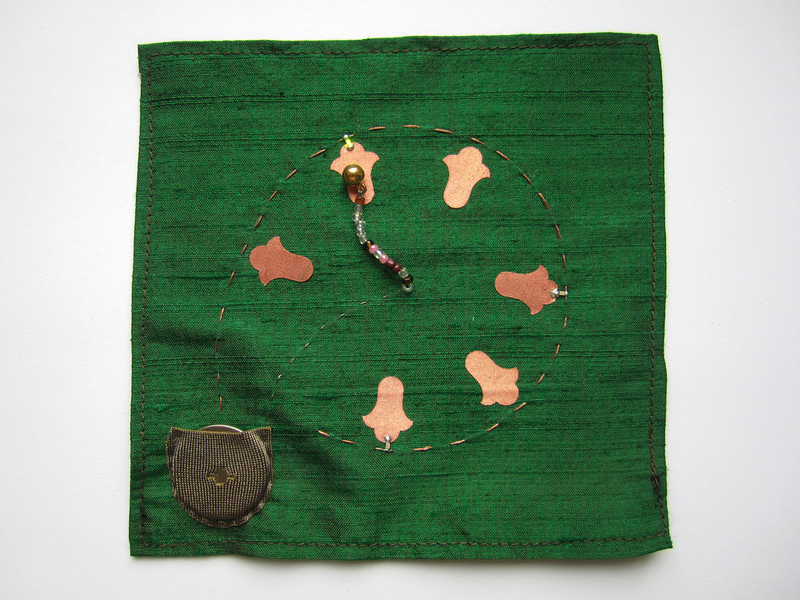 The conductive petals are lasercut from copper fabric with fusible adhesive backing and fused to the silk base fabric with an iron on medium heat. 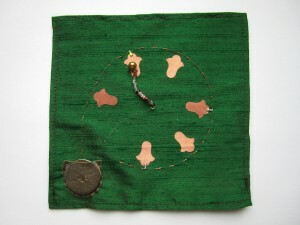 The coin-cell battery holder is lasercut from stretch conductive fabric, singeing it’s edges to keep them from fraying. The battery pouch is sewn on with a silverized nylon thread which then connect the positive side of the battery to the heavy metal bead. The negative battery lead is made by tying knots at the end of a piece of copper thread and then sewing from the inside of the center of the battery pocket to the the GNDs of all LED lights. The LED lights are soldered on, their positive lead connecting to the copper fabric petal, and their negative lead connecting to the copper thread. The silk base fabric can take high temperatures and does not burn or melt when soldering directly on its surface.